I like to buy apartment buildings in need of improvements, but usually not in need of major renovations. Poor management and distracted property owners often lead to deferred maintenance—simple fixes that can dramatically force appreciation by raising income and lowering expenses. Some property renovations are costly and should be considered when you negotiate the purchase price. I negotiated a seller credit for repairs for the major renovations that needed to be done on this 29 unit apartment building. During contract negotiations the seller agreed to a repair credit to redo all of the asphalt, sidewalks, courtyard and roof. This apartment complex is in the vicinity of a busy street. When we purchased the building the “courtyard” was a loading only zone in the back of the complex. By redesigning our courtyard with stamped concrete, landscaping, barbecue area and seating for the residents, we created a quiet space the residents could enjoy. This became a marketing tool when listing the units for rent. This property had poor drainage after heavy rains. The new asphalt and sidewalks assured water drained away from the property and ultimately out to the city street. Garbage trucks used the driveway on the North side of the property. To prevent damage to typical asphalt driveways we poured concrete on that section of the drive. Heavy garbage trucks will destroy asphalt. 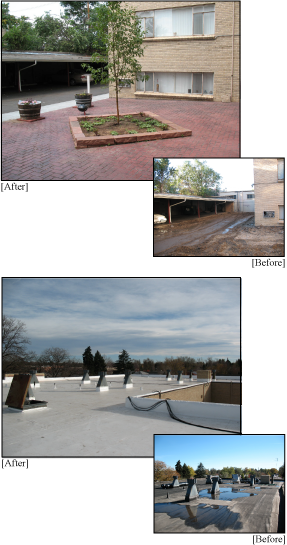 We installed a bright white Durolast roofing system which had several advantages. The new roofing system came with a 15 year warranty that was transferable to new owners when we sold the property. This was a huge selling point. New roofs are a major expense. Buildings with air conditioning can receive an efficiency rebate from the local energy company when they install a Durolast roofing system. Not all renovations are costly. Plan for these simple improvements in your acquisition budget. 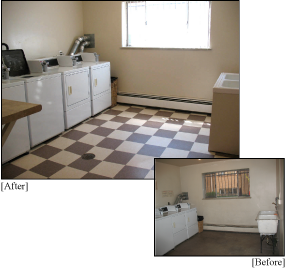 This laundry room renovation was a simple one yet it had a significant impact on income. A friendly, clean environment ensured the residents actually used the facility. Many apartment complexes come with a laundry lease in place where the owner splits the profits 50-50 with a professional laundry company. These leases run with the property, not the owner. Renegotiating the lease, or canceling before lease end, can lead to a large increase in income. Great first impressions are a must. When a prospective resident enters your building you are looking for the “Wow” factor. Wood floors, period carpeting (as in this 1950’s apartment building) are a relatively inexpensive way to attract the right demographic of renters and to lease units quickly. In this property w e also installed an entryway security system. It’s an inexpensive, telephone based door locking system used by residents to allow entry to visitors. Interior hall properties (versus exterior walk ups) can be used as a marketing tool to attract residents. You are providing an extra layer of security to the community by providing an extra set of locking doors to apartment unit entry. Knowing your particular “market sizzle”, will help you rent apartment units for top dollar and will help you make your renovation decisions easily. Market sizzle comes in all shapes and sizes. Your submarket renters might want free WiFi, wood floors or in unit washers and dyers. Study your local apartment market. This apartment building is located in a market where wood floors are the top priority to residents. This particular property had oak floors throughout, but the wood floors had been covered with carpeting for decades. Of course, we knew the wood was there before we bought the property. 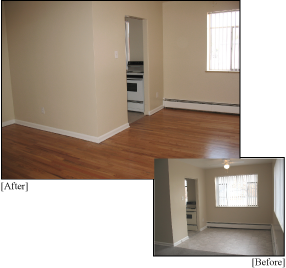 Refinishing the floors to their original beauty was our top priority when renovating and updating the apartment units. A simple two tone paint job, new lighting, and the installation of ceiling fans was all that was required to create a beautiful living space for our residents. New shrubbery, signage, blinds and landscaping can have a major impact on your ability to attract new residents. 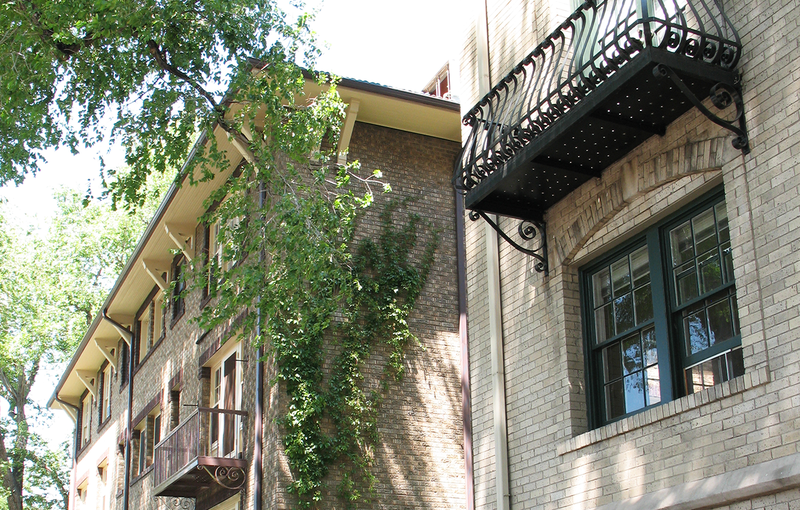 One of the most often overlooked cosmetic enhancements is to keep a clean building. Some highly trafficked areas such as laundry rooms and entryways get dirty fast. It’s a great idea to make sure your management company pays special attention to these areas. I will buy your book. 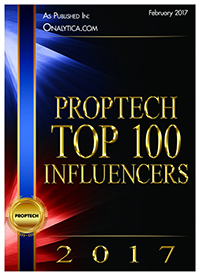 Can you please send me a marketing plan post purchase of a apartment building I am buying (my bank wants this). Thanks for your interest in my book! I appreciate it. I’m happy to have a strategy call with all visitors to my site. I’ve sent you an email to set something up. We can discuss what it is exactly that your bank is looking for. Glad to help. It is good to invest in renovation of the apartment . Since you can get more profit on reselling after renovation. 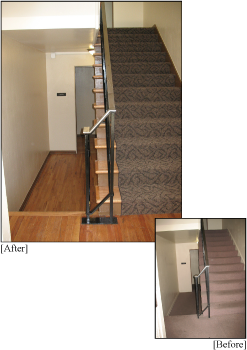 My company, Ridalco Industries Inc. sells stainless steel corner guards to apartment buildings in Canada and the U.S.. In older apartment buildings drywall hallways and corners are typically banged up and look terrible to a potential purchaser. Installing stainless steel corner guards is a quick, easy and inexpensive way to immediately upgrade the look and reduce future maintenance costs. Thanks for a great tip Joe! Wow! Looks like you guys had your work cut out for you in some ways, but it sounds like the renovation project was a success. We are architects preparing a proposal for the renovation of a 20 unit postwar apartment building. What scope of work, that is, what items in particular, would you recommend renovating or replacing for the best return for our client? You are asking exactly the right question. Although I’d be hard pressed to give you a good answer without knowing more about: market, type/condition of property, exit strategies, funding, investment goals, etc. Feel free to contact me via my contact page — https://theresabradleybanta.com/contact/ — and we can set up a free 30 min. consult to discuss. Thanks for reading.